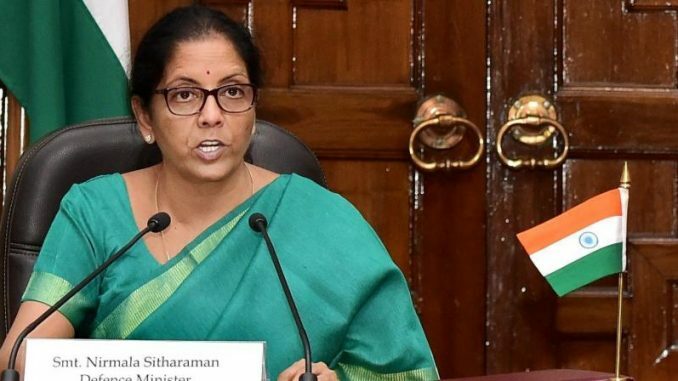 Defence minister Nirmala Sitharaman did well to state unambiguously on Tuesday that there will be “no boots on the ground” in Afghanistan as far as India is concerned. This has been our unstated policy since our intensive engagement with the post-Taliban Afghanistan commenced 15 years ago. However, there have been voices within the country from time to time — fortunately not at the very top — pleading for Indian troops presence on the count that our development and economic presence required our own soldiers to guard the assets being created with Indian assistance. Since US President Donald Trump’s August 21 policy announcement on Afghanistan, which saw India as a positive force in Afghanistan and also saw India as a partner in the global fight against terrorism, there was speculation that India might be persuaded to send forces to the embattled country since the US plan to escalate its fight against terrorism. The defence minister’s statement is a definitive rejection of any guess-work in this matter, and this is a good thing. The Afghans don’t want our troops. They just seek help with defence equipment and capacity-building, which we have been doing even before the recent US policy declaration. It is just as well that the minister’s clear enunciation came at a joint press conference with the visiting US secretary of defence James Mattis, the first Cabinet-level official of the Trump administration to visit New Delhi. This should dispel doubts not just in Washington but also in Kabul. At the same time India’s rejection of Pakistan PM Shahid Khaqan Abbasi’s mischievous recent statement that India had “zero military or political (legitimate) interest” in Afghanistan was presented emphatically with official declarations which indicate that our social, economic, developmental and capacity-building assistance is in the process of being stepped up. More than one hundred new development projects are being taken up. Afghan police are now expected to receive training in India under a UNDP programme. Hundreds of military and security personnel also interact with their Indian counterparts in India. There appears to be the recognition now of completing the Chabahar Port Iran-India-Afghanistan trilateral project in Iran by next year to bolster trade between Central Asia and South Asia, skipping Pakistan which has emphatically shown itself to be a barrier to such activity. India should seek to persuade the US to impress upon Pakistan to desist promoting terrorism in both India (Kashmir) and Afghanistan on pain of withdrawal of financial and military assistance. It is also possibly time for India to take a non-formulaic stance toward the Taliban with a view to easing a political settlement in Afghanistan.